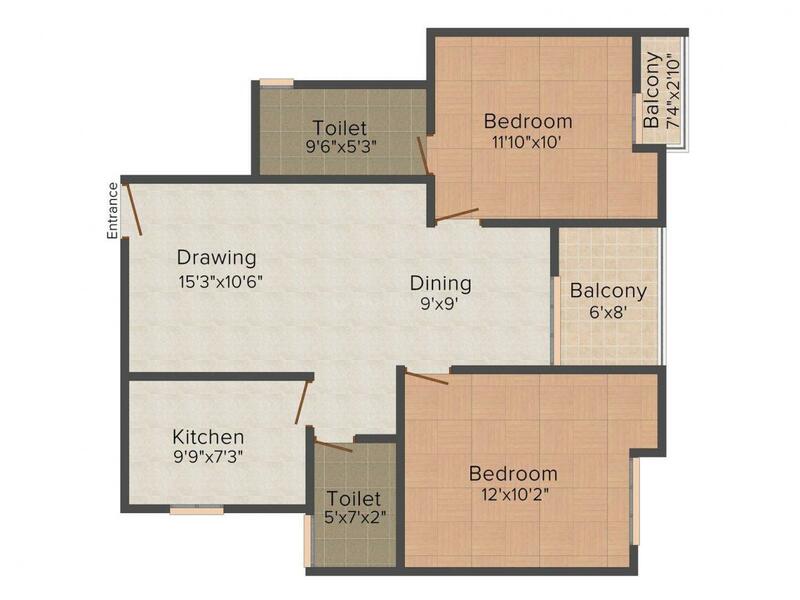 820.00 sqft. 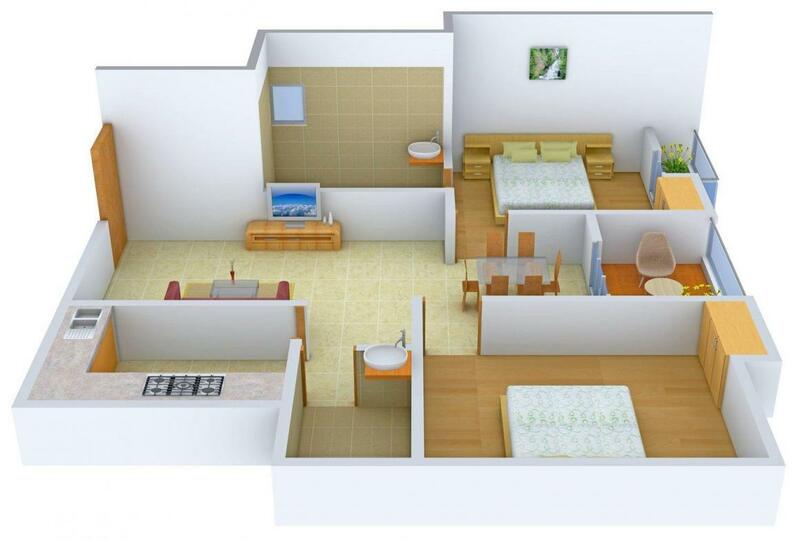 - 970.00 sqft. 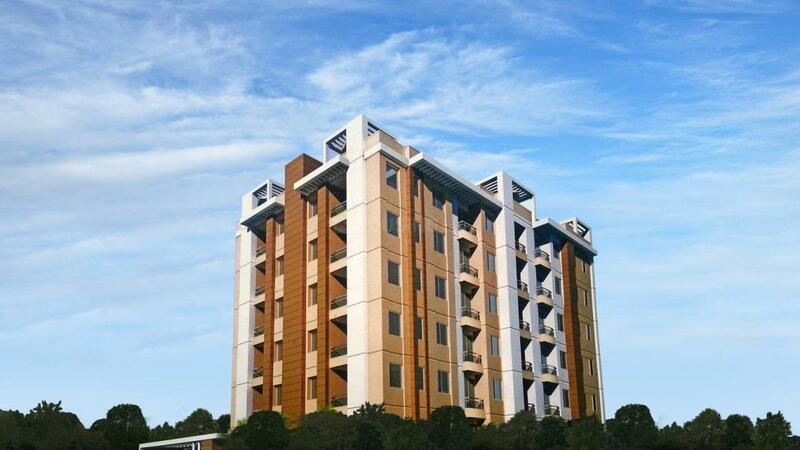 Bhagirath Residency is a quickly developing residential apartment complex that is the epitome of beauty and strength. The swift and sleek exteriors are powerfully built in a way that suggests strength and stability and this outside facade of the building stands in stunning contrast to the well designed interiors that are not only able to reach new heights of elegance and harmony but are also extremely well organized to the point that the housing units provided within are completely adaptable to any sort of lifestyle that the future resident of these apartments may wish to abide by in Bhagirath Residency. Morar is a fast developing area located in Gwalior, Madhya Pradesh. The locality is very well connected to other areas through roadways and railways. National Highway 75 and Asian Highway 43 are the main arterial roads that link it to the neighboring places. Gwalior Railway Station is the nearest railway station. The area has some well known educational institutions – some of them are Lakshmibai National Institute of Physical Education, Indian Institute of Tourism and Travel Management, Madhav Institute of Technology & Science, Jiwaji University, Gwalior Polytechnic College, Boston College for Professional Studies etc. The locality has some hospitals- Apex Hospital, Global Security Hospital and many more. The presence of many schools, colleges, banks, ATMs and shopping centers has resulted in attracting a number of Real Estate developers, inhabitants and investors in this region. 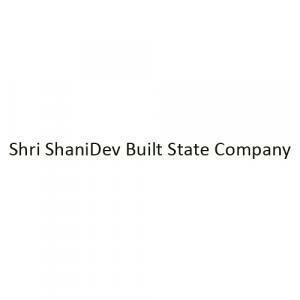 Shri Shanidev Built State Company is a well established land acquisition and real estate development and construction company. They are able to enjoy a good reputation and are well respected within the industry in its areas of operation. The company is highly focused on providing excellent products and services in the form of high quality housing solutions. Through this focus on quality products and customer satisfaction the company has been able to acquire quite a significant amount of customer loyalty which Shri ShaniDev Built State Company takes a large amount of pride in.